The fun in Seattle doesn't stop when the rain starts. The fun in Seattle doesn't stop when the rains come, and despite its reputation, November isn't always drizzle and gloom. Dress in layers, including a waterproof outer layer, for your autumn visit to Seattle, and bring several pairs of comfortable shoes. With those items on hand, you'll be able to make the most of all that Seattle has to offer. Although many roads to outlying mountain areas shut down in November due to snows, walkers, joggers, bicyclists and roller bladers can find plenty of room to stretch their legs at a number of Seattle city parks. Green Lake Park, just north of downtown, provides a 2.8-mile loop around a lake that offers kayaking and other nonmotorized boating opportunities if you can brave the winter winds. Separate paths are marked along the trail for wheel and foot traffic to minimize conflicts between the two, and the park is open 24 hours a day so you can try to catch breaks in the rain. Green Lake Park borders on the Woodland Park Zoo, which can combine with a walk around the park for a family-friendly day of exercise. Just bring your rain gear. If you're looking for a mellower park adventure, Kerry Park tucked in Seattle's Queen Anne Hill neighborhood offers the best view of Seattle's skyline and Elliot Bay, which can be astonishing in the November drizzle. 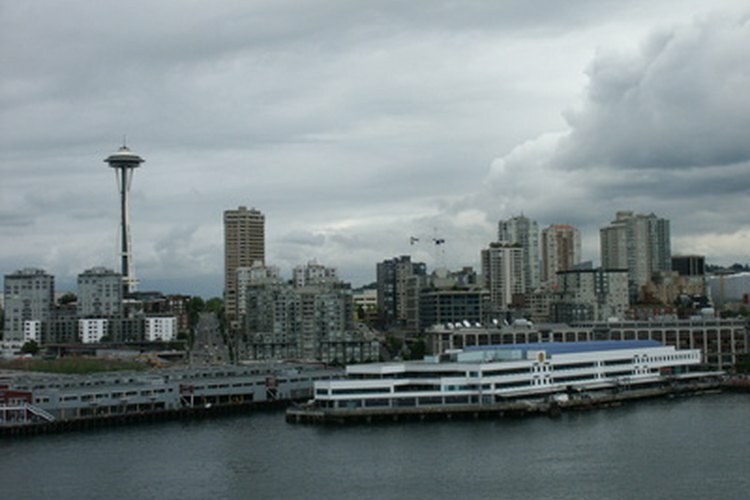 Seattle offers a number of wellness activities that are available to visitors on a drop-in basis. Most areas of the city have yoga studios that offer drop-in classes, and many wellness spas offer one-time sessions in "hot yoga," where the removal of toxins from the body is increased by performing yoga movements in a sauna environment to encourage sweating. Thai massage sessions can also be found in Seattle; this type of massage is a more active form of muscle relaxation than many standard massages, in which the therapist helps you move your body into a variety of yoga-like poses to reduce tension. Drop-in gym memberships and Pilates studios are also available throughout the downtown area of Seattle as well as the Eastside, which includes Bellevue and Redmond. Any of these places can help you keep fit for pending Thanksgiving feasts. Seattle is home to a large number of writers and readers, and curling up with a cup of hot tea or coffee at a literary event is a great way to expand your mind while keeping your body warm on a November trip to Seattle. Several bookstores offer author events and readings, including the Elliot Bay Bookstore and the Richard Hugo House, which also offers dedicated writing sessions for aspiring writers and workshops with professional authors. If you'd rather spend the days following Thanksgiving keeping fit instead of lounging around the leftovers, consider participating in or volunteering to help with Seattle's annual marathon at the end of November. Sponsored in part by the University of Washington Medical Center, the Amica Insurance Seattle Marathon offers full- and half-length marathons for runners, walkers and wheelchairs. Take in the scenery at your own pace on the hilly course through downtown, starting and ending near the Seattle Center on a looping route that offers lake and city scenery. The event also includes a 5K walk/run the day before the marathon that welcomes leashed dogs and parents with strollers, neither of which are allowed on the marathon course. A children's event is held the same day as the 5K walk/run and gives certificates and prizes for each milepost the child completes. Seattle offers a variety of cuisine year-round, so when you're looking for a warm and exciting way to warm your insides in the winter, the area's plentiful restaurants are a great way to add spice to your life. Several independently owned restaurants are available throughout the Seattle area that combine tasty recipes and fresh, local ingredients (often organic) with beautiful presentation. Each restaurant has its own unique flavor combinations, so ask the locals for their favorites and try a few. For your daily omega-3 dose, wander down to the Elliot Bay waterfront to find plenty of fresh-caught seafood restaurants that are likely to be less crowded in the off-season.